The tonality of the R6 is a bit chameleon-like but in a positive way. The TPA6120A amp is a high output impedance amp, as high as 10Ω which means low impedance gear will have an altered response when paired with the R6. That altered sound may not be consistent either and by that I mean not every low impedance IEM will share the same tonal changes from the R6. 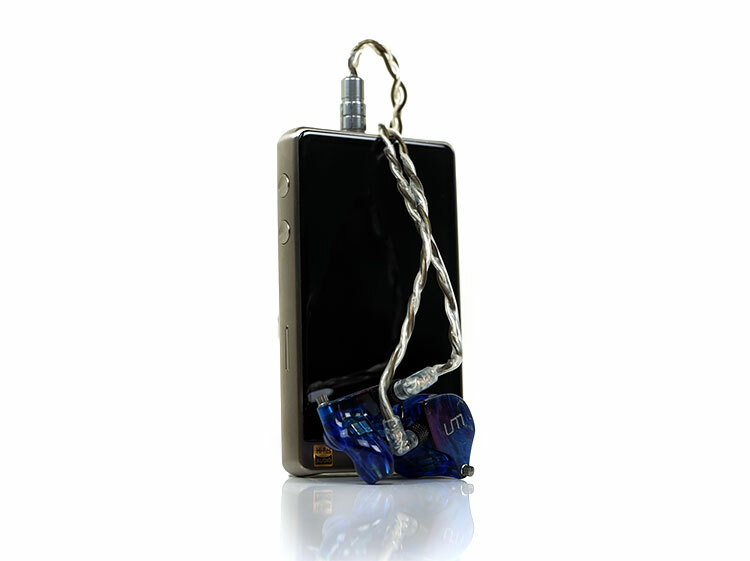 Luckily, we do have relatively neutral Custom Arts FIBAE 1 which uses flat impedance technology that renders the impedance curves change relatively moot. Using this technology I got a fairly good idea of the core sound of the R6. The R6 delivers a tonality that is fairly beefy and slightly musical in sound with some excellent low-end extension and impact. If you are coming from the DX200 with AMP 1 then the mids and top-end are in the same ballpark with a refined and slightly thickish note and definitely more body than the X7ii’s cleaner more energetic top end. However, the R6 delivers a bit more bass impact and a slightly more euphonic timbre than the more reference sound of the DX200 (Amp 1). The staging on the R6 is impressively wide and deep also. Maybe not quite on par with the airy top end extension of the Opus#3 but certainly much deeper and more holographic sounding. Sometimes the Opus#3 strikes me as being all about the width and top-end extension whereas the R6 is a little more rounded and natural sounding. Staging takes a more mids to top end focus with a generally brighter sounding presentation. Width increases but at the cost of some perceptible depth as the low-end is pulled in a bit more with low impedance headphones such as the Andromeda. I do find the low-Z R6 staging to have a little more air and sparkle than the core presentation as well as a bit more note articulation and instrumental separation. The trump card is the bass delivery of the R6. It is punchy, impactful with impressive sub-bass presence. For those that think going Sabre means neutral and analytical, we have come a long way from that impression with the R6. It is not just the power, but the detail also. The low end remains impressively defined and pretty tight. Yes, its more elevated and fuller sounding than the DX200’s more linear response but it is able to avoid sounding overly warmed up and muddy sounding also. The low-end of the R6 is stripped of that impressive fullness and weight though overall I still find it relatively punchy and musical sounding. Certainly a bit lighter but not inherently lean or lacking in extension. As a result, the low-Z R6 sound doesn’t deliver as much low-end power or depth with a weaker fundamental. Lower pitched instrumental notes become a little more focused on articulation and detail and less about weight and texture. Lower mids on the R6 are also positioned slightly further forward and benefit from the low-end fullness with good instrumental body and a natural to slightly warm timbre lacking in any sharp overtones. Vocals have a little lift and sound very smooth with little or no sibilance. Female vocals in particular sound beautiful with the R6. There is nothing edgy about this delivery nor is it overly rounded and smoothed over. Instrumental note body is generally more neutral with the timbre also erring more to the neutral side. As a result, vocals actually have a bit more focus and generally sound a bit cleaner than the stock sound. There are times I actually think that works in the R6’s favor, particularly with some male vocals where I like the spacing and air around them a bit more. Treble is full bodied and natural sounding with good detail and excellent articulation. It is also slightly relaxed, certainly in comparison to the more energetic but slightly thinner sounding X7ii and just a shade behind the DX200 which sounds more neutral in its top-end response. It doesn’t have quite the same level of sparkle in its top end as the X7ii electing instead to deliver a very smooth treble response with better weight and a pleasing lower treble percussion timbre. You will not find this DAP to be in any way splashy or brittle sounding for higher pitched instrumental sound. Upper mids and lower treble are generally more energetic with a sharper attack and more bite in persuasive timbre. You will definitely hear more cymbal and hi-hat presence with a slightly longer decay and more prominent odd harmonics presence. Note leading edges will sound a little sharper with a little body sucked out but generally speaking, the R6 lower treble avoids sounding brittle or metallic. 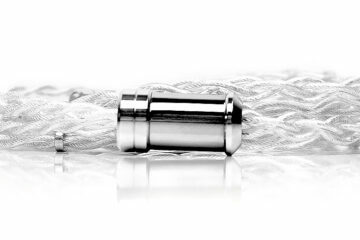 Upper treble sparkle also has more presence and energy with slightly more extension and air than the core sound. Going balanced will mean more output power and lower volume requirements. Again, the tonal balance changes slightly for me from the core sound but it is more nuanced than in terms of dynamics and staging rather than the low impedance switch up. The most noticeable difference is the level of power being generated from the R6 sub-bass presentation. It is more aggressive and physical sounding and reaches that bit deeper than the unbalanced output. There isn’t an increase in mid-bass warmth for me using the balanced output. If anything the unbalanced has a bit more punch in that area but the level of rumble is reduced by comparison. The R6 output power at 120mW @32 ohms unbalanced and 300mW balanced is actually very good for IEMs and pretty decent for mid-range or portable headphones such as the Meze 99 Classic. 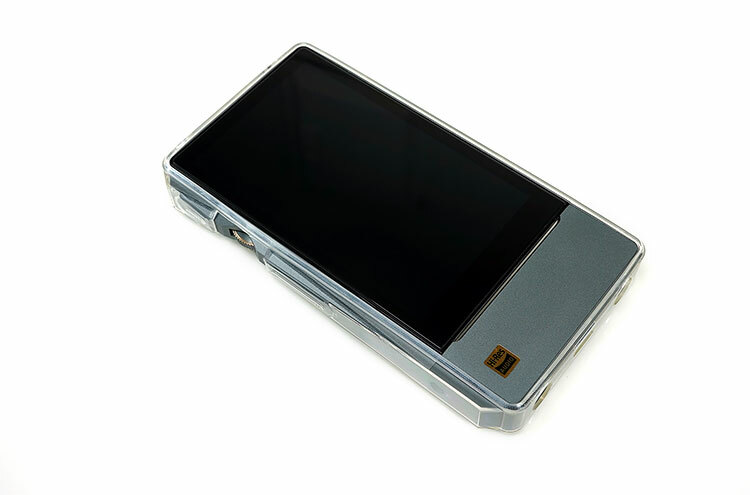 It is not groundbreaking though and other DAP amp solutions do deliver more power such as the FiiO AM3, AM3a, and AM5. However, in terms of delivering a very low noise floor and a black background the R6 did outperform all of those cards. The DX200 cards are closer in terms of noise performance and I generally regard them as being better engineered with a more nuanced approach to how things should sound. On efficient IEMs such as the Andromeda, Jupiter, and the Westone W80 there was zero background hiss with the R6. Volume control is smooth with plenty of micro control in low gain for your IEMs. If you have variable gain levels in your tracks you can always switch on Replay Gain in the settings menu also. The R6 output impedance is 10Ω which is going to be at the heart of some very long debates because it does mean the final sound signature is somewhat ‘fluidic’ depending on what gear you are using. Low-impedance IEMs, particularly those below 20Ω will change in tonal bias. 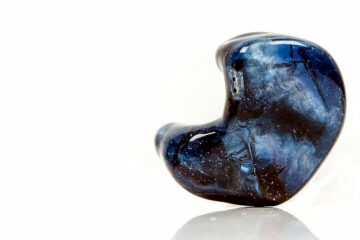 There is less chance of a change the higher up you go so IEMs like the RHA CL1 will sound like they always do. Also, single dynamic IEMs or those not using crossover technology should remain relatively unchanged. Now, this is not the same as a change in quality. In all tests, the R6 level of detail and performance levels are excellent and unchanging in that respect. However, how much bass, how clean, how rich, how much sparkle? All those questions become a little ‘up in the air’. If you have a reference sound from your one and only sub-20Ω IEM such as the Andromeda paired with <1-ohm output gear then the R6 is not going to play ball, simple as that. Staying with the Andromeda, which was the key IEM we used to determine the changes, you will lose a bit of bass weight and fullness though it still stays punchy for me. In return, you will get a cleaner mid-range, a leaner note, forward vocals and plenty of sparkle in its top-end. Switching to FIBAE technology (FIBAE 1) or flat impedance technology from Custom Art delivered a more accurate representation of the R6 sound as described above in our impressions. If ever there was a case for buying one of Piotr’s FIBAE creations then the R6 really is it. I have to remark though, there are times when I simply preferred the tonal shift and it gave me something I quite enjoyed. The R6 is definitely not like the Shanling M2s in terms of how it stripped the bass right out of the Andromeda. It still sounded relatively punchy just not as full sounding as it could be. There will be some whom I think will enjoy the brighter, more energetic top-end of the R6 low impedance IEM sound. I like how FiiO really improved the usability experience of the Mark 2 over the Mark 1 but you are going to notice a considerable lag and lack of smoothness in its response compared to the R6. The numbers do not lie and match my real-world experience. The X7 Mark 2 is the slower device. The X7 Mark II uses a single ES9028PRO which is the full chip solution as opposed to the 2-channel Q2M mobile version in the R6. The R6, however, uses 2 chips, 1 per channel. The X7ii’s amp ecosystem really expands the choice and life cycle of the DAP compared to the ‘love it or loathe it’ fixed single amp strategy of the R6. You can change up the sound on the X7 but it will drive up the total cost of ownership compared to the fixed price of the R6. In terms of power and noise, the FiiO cards vary but the closest in terms of power is the AM2 with the AM3 and AM5 delivering a bit more output power than the R6. Noise and distortion levels on the R6 are noticeably superior to the FiiO amp cards. All my IEMs, even the most efficient ones such as the Andromeda were dead quiet. The AM3a delivers a bit more power than the R6 but not a huge amount more, around 5-6 steps less on the X7ii in low gain. The AM3a produces a little more noise than the R6 which is very quiet with highly efficient IEMs such as the Andromeda. Whilst it is difficult to clearly establish a base sound with the R6’s 10-ohm output impedance the impact was a little similar to the M2s with efficient IEMs. True enough I did find the low-end of the R6 to be a little cleaner, not as full sounding and the top end a bit brighter but it still sounded satisfyingly punchy. The X7ii has a slightly greater low-end bias with a warmer and fuller sound but not quite the same level of snap and clarity as the R6. The R6 is a little more neutral but sounds tighter and better defined. Mids on the R6 are again slightly cleaner with a bit less warmth but sound a little further forward to me with slightly better dynamic range and control. Staging width on the R6 comes across as a little wider also. You get a slightly softer attack with the X7ii compared to the R6 which in turn delivers a slightly brighter instrumental timbre. The difference at times is quite nuanced but going back and forward the R6 vocal presence seems further forward, cleaner and more engaging than the X7ii. Treble on both was quite interesting to pick out the differences. There is definitely a more forward and energetic lower treble response on the R6 compared to the X7ii. Percussion has more focus and presence on the R6. It is a touch brighter in that respect, however, percussive timbre was a bit more pleasing on the R6. Yes, you will get more snap and bite but it has a bit more body and doesn’t sound as brittle at times. Transformational is one way to describe it. The FIBAE range is an excellent base tool to check the 10-ohm output impedance factor and there is a definite change in the presentation of the R6. The low-end immediately sounds more weighted than before and fuller sounding than the X7ii. Note body becomes a lot thicker now with much better texture and generally a more balanced presentation. Instrumental timbre is a little richer in sound also. It is not bright and breezy as with low impedance gear but it is more solid sounding and makes the X7ii sound a little thin in comparison. Vocal presence is still a little further forward and refined for me but it is not as bright sounding as before. In comparison, the X7ii vocal pitch lacks a little weight and substance. Perhaps the biggest changeup is the treble performance. On the X7ii you still get plenty of sparkle and just an ever so slightly brittle harder percussion sound. On the R6, however, it is much more refined. A lot of that low impedance “fun” energy has been replaced by a more natural sounding top end with better body and a smoother attack. The DX200 is top of the tree with dual ES9028PRO compared to the R6’s dual ES9028Q2M and the X7’s single ES9028PRO chip design. None of them, as far as I am aware use similar DTA architecture of the R6 so it’s not a given that you will get BIT perfect output on the DX200 and X7ii. Like the X7 the Dx200 uses a module amp system and it is somewhat more expensive to buy the individual cards than FiiO. However, the amp cards used by iBasso are truly excellent with much lower noise floors and black backgrounds than the Fiio system. Their power ratings vary also but they do pack a punch, especially AMP 1 balanced and AMP 5. The R6’s fixed amp system is equally as quiet thankfully though compared to some iBasso cards not quite as powerful. The DX200 falls behind really on operational fluidity and that Mango OS which is really not up to par. The R6 is much slicker, much faster, prettier to look at, longer battery life and generally a more delightful experience in terms of usability. The DX200 with its stock AMP 1 card delivers a fairly neutral but smooth and rounded tone from top to bottom. It has a slightly more reference quality to it than the R6 with a more balanced sound. The R6 has a punchier low-end and bit more energy and presence in its vocal and lower treble delivery. It also has excellent width which is something I noticed also with the X7ii, perhaps superior to both of these DAPs in that regard. The R6 will come across as the cleaner and brighter of the two and perhaps the more musical of the two also. The DX200 AMP 1 card pulls in the vocals and upper mids/lower treble but adds a bit more body and a more natural flow to its signature. There is less of a bass/treble contrast with the DX200 AMP 1 card and it will sound perhaps a bit less “exciting” than the R6 which has a bundle of energy from the mids onwards. Vocals, in particular, show that subtle difference with the DX200 exhibiting a slightly softer and smoother attack compared to the sprightlier and more contrasting vocal timbre of the R6. With flat impedance or higher impedance gear such as the FIBAE 1 the R6 sounds a lot closer to that refined DX200 sound with just a few minor differences (AMP 1 card). The first is the slightly weightier low-end of the R6. The AMP 1 card of the DX200 is the more linear and correct of the two in terms of bass response with slightly better balance. This is closer to AMP 2 in tonal bias. People will still find the R6 the more musical of the two but the gap is much more nuanced now than with lower impedance IEMs. Part of that is due to the much smoother mids and top end of the R6. Instrumental timbre is also a tiny bit thicker sounding than the DX200 AMP 1 with that heavier bass signature injecting a bit more body into lower mid-pitched instruments. One thing I did note is the mids and vocals presence of the R6 are a little further forward than the more neutral positioning of the DX200. I also found the R6 to have a little more top end body as well as a more relaxed treble presentation than the DX200 treble response. The DX200 is more refined, perhaps the more reference or accurate of the two, especially with low-impedance gear. The R6’s low-impedance energetic presentation will deliver a bit more pop and musicality and generally will come across as the more immediately engaging of the two. It gets a lot closer with FIBAE delivering a much more refined and controlled sound. However that bassier low-end of the R6 tips it more to the musical side. I understand why The Bit walled off the Opus#3 Android experience and skinned it to make it more simplistic. It is stable, fast enough and focused purely on audio. In many respects that was the goal of the Opus#3. Yes, you can sideload and the list of apps people have tried is good but it is not an open experience, not by any means. Lined up against the R6 in terms of an open fast Android experience there is a night and day difference between the two. No competition. You are talking about 5.1 versus 6.01, 1Gb RAM versus 3GB of RAM and an ARM Cortex-A9 1.4GHz in the Opus#3 versus a Snapdragon 425 in the R6. I suspect if the BIT let the Opus#3 out of the walled garden completely it would be a lot slower. The Opus#3 uses a single Burr-Brown PCM1792A compared to the dual Es9028Q2M design of the R6. The chip inside the Opus#3 is an ‘oldie but a goody’ though I think it lacks the clarity and punchiness of the R6 (see sound impressions below). The amp system in the Opus#3 is also fixed just like the R6 and both are actually very good indeed in terms of delivering a clean low distortion hiss-free sound. On paper, the R6 has the superior SNR and THD-N numbers for its TPA6120A by around 5dB and 0.0001%. The killer omission for me on the Opus#3 is the lack of dedicated line out. This is not a true line out, it does go through the Opus#3′ own amp so that is a bummer for me. The Opus#3 has a warm and relaxed tonal presentation. The R6 is more dynamic and cleaner sounding. Both sound pretty open with good headroom and excellent width but the Opus#3 is perhaps a bit too linear in its delivery leaving me wanting a bit more pop. It is easy going but at times I find it too easy going and flat sounding compared to the punchier R6. You could say the Opus#3 sounds incredibly rounded with a very even harmonic emphasis in its instrumental timbre and a soft smooth vocal delivery. The R6, however, balances that out with a better even/odd harmonic balance that adds a bit more snap and bite to instrumental timbre and a cleaner more accurate vocal presence. With FIBAE 1 the R6 becomes a lot smoother and not quite as bright sounding in comparison to the Opus#3. The additional low-end weight and fullness of the R6 is really the difference maker here. The Opus#3 bass response, whilst retaining a healthy degree of warmth, doesn’t sound as punchy and powerful as the R6 low-end. In fact, it is a lot politer in comparison. Conversely, the mids and top-end of the Opus#3 sound a little more open now and spacious. Instrumental timbre is thicker sounding on the R6 by comparison with the Opus#3 a bit more neutral by comparison. Treble on the Opus#3 is a touch more neutral in positioning and a little airier sounding than the R6 this time around. The R6 gains a bit of body for a more natural treble sound but it also gets a bit more relaxed than with low-impedance IEMs. The R6 is a truly excellent digital media player with an insane price for the features and hardware inside. I have been saying this all year and the R6 really caps off what I think is a stellar year for getting the price to performance ratio just right in the sub-$1000 category. 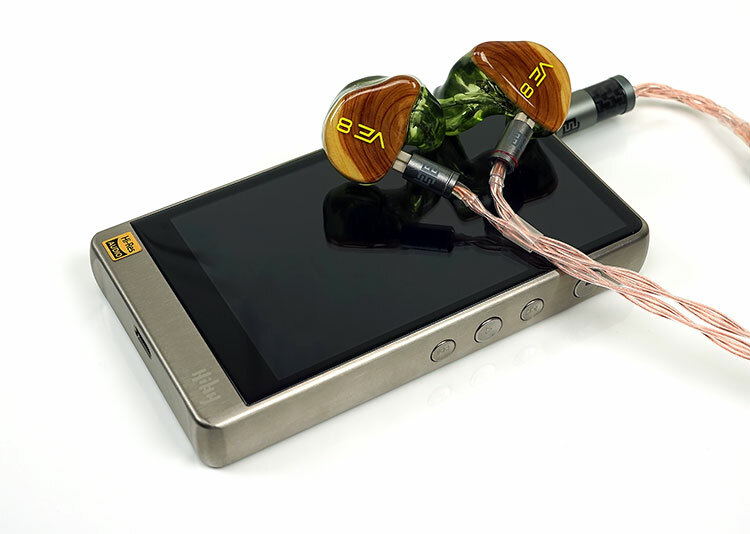 As IEMs and headphones continually challenge us in terms of value the DAP market has taken up the cudgels and there is no finer example than the R6 right now. I spoke highly of the DX200 in terms of its price point and what it offers and I think in some ways the R6 offers a lot more. The only downside is I cant tell you what more it can offer until that international firmware is out. As it stands HiBY Link, aptX and USB-DAC features, as well as Google Play, are not available. They will be though in a few weeks time so I look forward to trying that out. Note below we do a have that new firmware list of features for your reference. This is also the fastest DAP in the market by a long shot. Nothing comes close to its UX experience and the numbers back it up. Beauty is in the eye of the beholder but you have to put competing DAPs side by side to really see how pretty the 2.5D screen is and how small bezel margins can make a very big aesthetic difference. This is more DX200 than X7ii in terms of tonal balance. The big difference is the R6’s more musical lilt with the punchier low-end and more powerful sub-bass response, especially in balanced mode. I still hold the DX200 AMP 1 as the most tonally correct and refined of the sub-1k DAPs and it does deliver a bit more power. If anything the R6 is more in keeping with the AMP 2 cards more musical approach. The elephant in the room is the output impedance. It will throw a curve ball with your low impedance gear at 10-ohms OI and the presentation or tonal bias will change. In some instances such as the Andromeda, bass will lose a bit of power and you will find it gets a bit top heavy with more air and sparkle. It is not too dissimilar to the tonal shift on the M2s only I think the R6 has the chops to avoid sounding anemic and lean by comparison. Otherwise, the HiBy Music R6 is a ‘no-brainer’ for $649 and a complete steal at the Indiegogo discounted price $529 price. The SS edition is heavy but I love weighted gear like that. It makes me feel like I have something well engineered and the R6 is just that. Play Store availability. Apps not from play store are now blocked by default with a switch to unblock, as per usual smartphones. USB DAC audio input functionality. Various options to customize how the multicolor pulsar light on the power button works, when it lights, how it lights, etc. e.g. in response to battery levels, charging status, audio sample rate, etc. A Tonality (Harmonics) system audio setting that attempts to change tonality via adding various signal-correlated harmonics. The default setting is “Reference”, or no harmonics, which sounds the same as before the firmware update. Options to turn off the device after a set period, e.g. for bedtime listening. 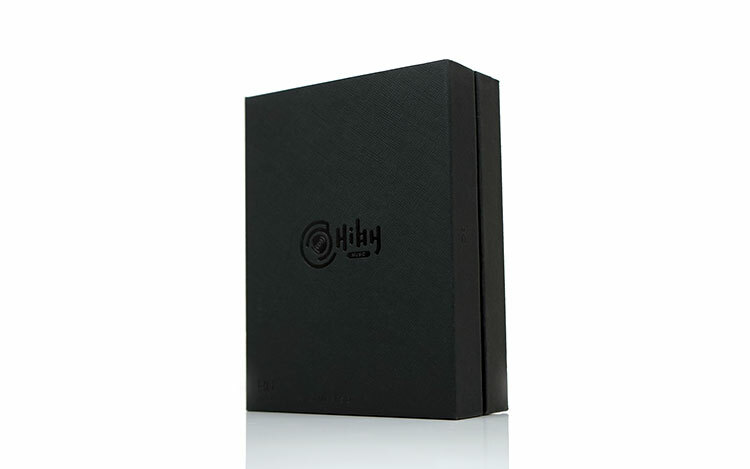 HiBy Music “MageSound 8-ball” module for the intuitive advanced shaping of sound tonality through your choice of headphones or other audio equipment. HiBy Music “EFOtech spatializer” module for simulation of loudspeaker soundstage on headphones a la OOYH, Smyth Realiser, etc. Display of album art, transport controls etc. in lock screen while HiBy Music is playing. Attempts to auto-find album covers and lyrics in HiBy Music. Finally, HiByLink for R6 and aptX enhancements for Bluetooth were still being developed at the time of this review and will be delivered on the R6 for Indiegogo backers. These are the only pledged features not completed or beta-tested at this time. Want a fast android dap. Lg v30 or V40 Latest snapdragon cpu (800 series) All the features you want. Great dac and opamp. After trying it i sold all my daps. One device does it all. Holds all my music. Support up to 2tb sd cards. Never run out of room. I have 400gb sd card in mine. Has 3 different output stages, but must use a trick for it to work. 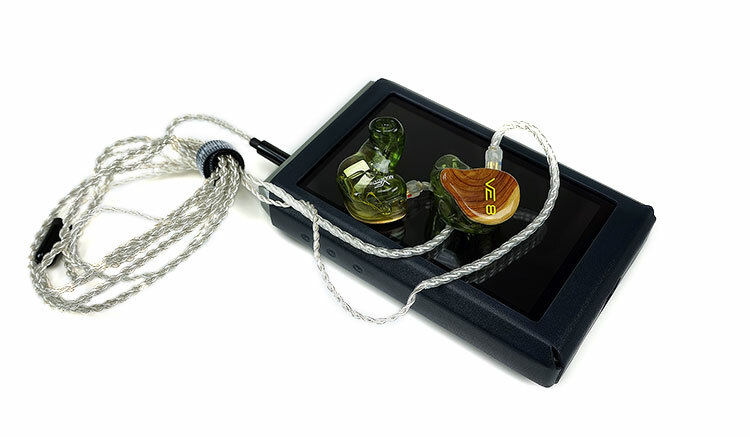 I would wait a month or so and buy the new up and coming R6 Pro from HiBy which has a much lower output impedance rating – better for sensitive IEMs. SQ wise the DX150 is a little warmer and richer sounding with a choice of amp modules you can vary that. With the R6 you can tweak the sound radically with the MSEB DSP module so you can have cold, lean, recessed, forward, warm, thick however you want it. Hi Shane, sadly do not have a norma here to compare, hopefully some day we will. how do the hiby r6 and astell&kern sr15 (norma) compare soundwise? Most reviews are head over heals picking the dpx1A as the best or right up their. Go online, Google high resolution music player reviews, and read. Besides, the hiby r6 does not support MQA. Though MQA is a considerable step down on FLAC in terms of resolution. I appreciate its purely for TIDAL lovers and I am one of them. Which one do you prefer in sound quality between Ibasso DX200 with or without AMP3 and Hiby R6 ? Why ? HiBy R6. Do you think this low 16ohm device will match up with the R6? I currently use my Aeons with my Moljnir 2 & love it. How about if I paired it with the Fiio Q5? Is it has a problem if i use sony n3ap with this player? I have never tried them before but at 16 ohm it is possible the low-z skew will affect their response though I find BA designs more affected than dynamic drivers. I suggest an IEMatch cable. thank you,but i have earbuddy.Is is same effect? If you mean an earbud it depends on the ohm rating of the earbud. Anything over 30 ohms will be fine. I would have liked to have seen a comparison between the r6 and the one unit considered the best on the market, the onkyo dp x1a. Unfortunately, Onkyo rarely sends anything out to review to anyone but going by the specs the R6 will be faster. I recently got the Granbeat which I love for its hybrid design so maybe I can add to that in due course since it is quite similar to the DP X1a. Who considers the Onkyo DP-X1A as the best??? There is a fairly extensive comparison with the dx200 throughout the review. Is this similar to what you found, as I think you mentioned the R3 is a bit warmer and forward? Balanced doesn’t mean neutral, it just means nothing is out of sync. Linear and flat would be the terms the person is trying to use if they think its neutral. What I found is the R3 is musical sounding compared to similar priced DAPs such as the M3s with a beefier low-end. I am not sure why people are comparing the R6 to the R3 since one is double the price. Maybe it is all they have to compare with? Have you tried Campfire Polaris with the Hiby R6? I’m wondering if this pairing is good? Actually, I have not, will give it a spin after Canjam this weekend and post some impressions in this comment thread. I suspect with the impedance at 16.8ohms it might need an IEMatch cable. Thanks, that’s a typo, sorry for that. All updated and thanks for pointing it out. Great review. I want to try a DAP as music source in my car which has Helix P six DSP with optical input and slot for Helix USB HD Audio card with USB in. Using DAP in car is better idea these days as DAPs are coming with more memory slots and OTG support. I have about 600GB of music with 90% CD quality and only 10% is 24bit. I have shortlisted AK 70mk2, Hiby R6 and Cowon Plenue R. Former two come with coax ouput so I would need to convert to optical with $10-20 converters which will be one more link in chain and that can be problematic in car. So that means only Cowon PR is left as only choice. Out of all these which one would you recommend (supposing coax-optical converter doesn’t degrade audio quality) in car and is there any better option with digital out put? And sorry for long question but need your advise badly. If you want to stick with optical then AK DAPs are just fine, I see no issue with that as they are digital outputs and the OS is snappy enough to use in transit. If you throw in a coaxial converter than the R6 is miles ahead in terms of usage potential due to its Android platform, 3GB of RAM and super fast performance. Thanks for quick reply and pointing that 70MKii has optical output. I wish if Kann has optical output too as it can take in huge memory. So now the other DAPs are out of list the simple question is out of AK70 MKii (with optical to optical cable) and R6 ( with coaxial coverter) which has better SQ. Both will be used as digital transport to Helix DAC. Also do both have OTG support for external storage and can they both access music stored on wifi HDD? BTW I also have cayin N5ii in my list as it not only has coax ouput but also USB-coax cable as accessory. And its cheapest of all. That one is fine also but has more limited Android app capability due to the rockbox processor chip and 1Gb of RAM. Thanks. I’m not looking beyond using it as DAP, not even DAC. All I want in my first DAC,in order of preference, are best SQ under $1000, digital output (preferably optical), OTG/wifi HDD support and UI if that matters. Everything else is bonus. I know the R6 has full OTG support, not sure on AK though their previous ones seem to be fine. This is what I got from their official website…..
first of all thanks for this great review and your clear words on all these questions! Is the output-power of the R6 bigger than X5ii? Sometimes I’m missing a bit more power on the way! Thanks & greetings fromGermany by Michele!!! – 300mW (RMS) @ 32Ω balanced. R6 could be or is an upgrade here. I’m trying one more time,hoping for an answer! the Fiios has double volume over the R6 by listening not on paper? to know if it’s gonna be an upgrade in this case. I really want to hear/read your opinion! On paper, it seems to be the case and it does go louder than before. I just think the R6 is more resolving and a better Android experience. The Vega has no output impedance issues and sounds excellent with either with the Vega so it just comes down to your preferences. I think the R6 will give you the best bass performance and the DX200 might be more balanced but also it depends on the amp card you are using. Hey. Really great review. I’m a new audiophile and I’ll need some advice. I own a pair of oppo pm-3 paird with ha-2 se and iphone x. They sound great. But i don’t really like to use an amp and a phone. So the question is: is the r6 capable enough to handle my headphones without an amp? If not, is there any other dap around 500£ capable to offer me what ha-2 se does? Thank you and sorry if my question sounds silly. The short answer is yes it will. The other ones capable that I like to use are the Shozy alien plus and Ibasso DX200 though Ibasso is over your budget. How about the tonality only as compared to ifi Micro BL? Have a Fiio X5iii but thinking of an upgrade. Portability is less of a concern. Honestly couldn’t tell you as we do not have a Micro BL to compare with. We will, however, be shortly reviewing the Nano BL which has an IEMatch built into it which I find quite interesting. Nice review. It looks like a perfect DAP except from the high output impedance. 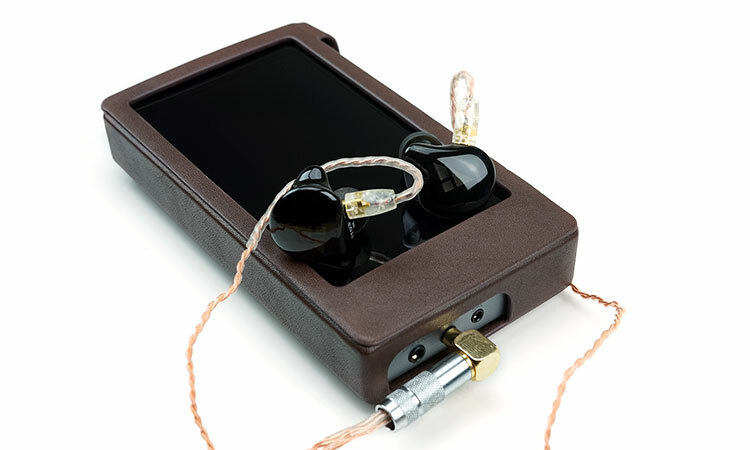 I have flc8s and planning to buy the Oriolus mk2; both are low impedance IEMs. Will they behave poorly with R6? If ifi IEmatch can solve these problems, I will be more than happy. Yup, the IEMatch will be just fine with the R6. The 8s is 11 ohms and the Oriolus MK2 I have not tried before but rated at 16 ohms. Both will be balanced out with the IEMatch. Always enjoy reading your reviews! Can the R6 be used as a source connected to a desktop DAC? Maybe through the USB-C jack? I did not see this option mentioned on the Indiegogo campaign page. The only configuration I see mentioned is connecting the line out of the R6 to desktop amp. Which one would be best paired to hiby R6: Fiio F9 pro , Nuforce HEM6 , or Nuforce HEM8 ? No clue on NuForce but the F9 should be fine as the impedance is not that low. Hi Marcus, many thanks for this great review! Do you think the R6 will pair well with my He400i or would I need a portable Amp? I am also considering the N5ii, any thoughts on this model? It will do ok but personally, I use a desktop setup for the HE400i. I do not think DAPs are an endgame with planars of this type. Hi, great review really. Could you confirm if the SE jack could respond to button or mic? As this is a very important aspect for me. Sadly the short answer is … no. I tested it with FiiO, Aedle and Ultrasone remote inline and nothing worked either on Android or in the HiBy Music app. Now my firmware is pre-launch so I checked with HiBy if this is a feature in future firmware and they will get back to me if this will happen. Well, thats unfortunate. Just curious if this is hardware limitation or software. If it is software, I hope they can support inline button via software update, just like FiiO X5ii. Please update us if Hiby have an answer regarding this matter. Thank you very much. At this moment in time, it looks like it will not happen. The chord mojo or the hiby r6 ? Both are fine but one is a dap and one is a dac and amp. If you want to use your phone then Mojo hut if you don’t need it for audio then R6 is fast and the first dap that feels as fast as a phone. I was wondering about the ISINE 20 scaling with strong AMP since the mojo has a stronger amp than the R6. Do you think this could result in better sound with the mojo ? I forgot to tell you that I plan on using it as replacement of my Ibasso dx80 as a DAC via USB with my computer at home. I’m only looking at pure sound quality over everything else. What you will get is the Mojo sound. I suggest if you want the Mojo use your Phone and a good audio app. Thank you for your opinion I think I will go for the mojo with my phone, what app would you recommend exaclty ? You can try Onkyo HF, Hiby Music or Neutron. How does the bass compare to the cayin i5 on both normal impedance and low impedance iem’s? Fatter with normal and leaner with low impedance – though note my list of low-z cans is not neverending and some IEMS have been known to get darker on the M2s which had a 4.8ohm rating. Thanks for your reply. I’m wondering if you still have the campfire audio Dorado’s to test with the Hiby R6 and what your impressions are with those IEMs. I do have them actually and we did a full review of the Dorado last year, quite a musical IEM. I will give them a go this weekend on the R6 an diet you know. great review, thanks, Marcus! i see from the screenshots that you did try to connect to dlna servers with the default hiby app. could you please check whether the files in dlna folders are sorted by their track title or their track number? i stopped using hiby on android because the files were sorted by their title, so i could basically never see the intended track order in any album. thanks in advance! It depends on the server you connect with, to be honest. The two I use are oShare and Serviio. oShare is simple for, it just lists it by File and folder. Serviio is more complex and will gather various categories. The main problem with the AP200 is the ancient version of Hidzs (HiBy) music they put on (a beta no less)–and doesn’t appear to be upgradeable. Among other things, that old version doesn’t recognize OTG drives, which is a real nail in the coffin for sure. What i *REALLY* want to see compared is this R6 vs the Snapdragon-driven ESS equipped LG V30, which I am close to jumping to for maximum efficiency. Other than the Android SRC issue of the V30 (except for stock music app), it really is supposed to hold it’s own with the big boys–do you guys have one of these around to run a test comparison with? We used a G6. Honestly pretty much all flagship smartphones will have a faster UX. The problem starts as you have mentioned with SRC combined with a much weaker amplification stage. Buy a Mojo though and your problems are sorted if you want to stick to smartphones. I actually intend to use the r6 as a streamer and dac in my home system (use it as a headless dap controlled through hiby link and stream from a nas). Right now I’m using my old macbook pro with jriver for the same purpose. As I have lots of Sacd ISO files, I see two options: 1. Buy the r6 and use it as the player and dac in one 2. Keep my ifi micro idsd and buy a nuc and continue with jriver. Could you, by any chance, compare the sound quality of the r6 to the ifi micro idsd? Sadly I do not have an iDSD to compare but looking at the specs the iDSD is a nice powerful output option for full-size headphones using the R6 as a good source. So with MEZE 99C you liked more FIIO X7 MK2 or HIBY R6? Which you prefered one of them? There is a case for both. I think with the Magesound 8-Ball DSP of the R6 it has the edge in texturing and coloring the sound to just how you like it. Nice review. How does it compare against the AK70 mkII’s sound quality? Hi Gilbert, sorry to say I don’t have an ak70 mk2 to compare with. How does it go vs the FiiO x7ii sonically? I have read on Head-fi about the output Impedance, which is reported as 10 Ohm. Could you check how low-ohm hybrid IEMs behave? E.g. Dunu 2002 or Fiio f9? Did you click on page 3? There is an entire section there explaining the low-z impedance factor and about 500 words on how it compares to the X7ii. Could you also compare it to the Hidizs AP200 soundwise please? I know it is not in the same price bracket,but want to know,if it is worth it. Sorry different reviewer for the AP200 so I can’t tell you the difference between it and the R6.